As we head into our final week before school starts, I've been trying to enjoy our late mornings and free evenings. And as much as I'm trying to not to think about how busy we will be very soon, back to school thoughts keep popping in my head. So today I thought I would share a few ideas that either helped us make our school days easier or ideas that were fun and got the kids excited about starting a new year. So here we go! 1. Last year I wanted to doing something special for the first day of school and to start the school year off fun! So I made this little star banner and decorated the mantel with a "super star student" theme. The kids got a kick out of it and it made for a great first day of school picture spot! 2. And then I had a surprise after school treat ready when they got home that also kept with the "super star student" theme. 3. Something else that really, really helps us stay organized during the school year, are these wall baskets from World Market. These have been a lifesaver. It keeps all the kids' homework binders, library books and any important papers safe that I need to sort through. My counter space stays clean and we aren't spending time looking for homework and library books. Each kiddo has a designated basket and they can easily get to their school work out themselves. You can go here to read more about this project. 4. Our organized art closet has really made school projects a lot easier. 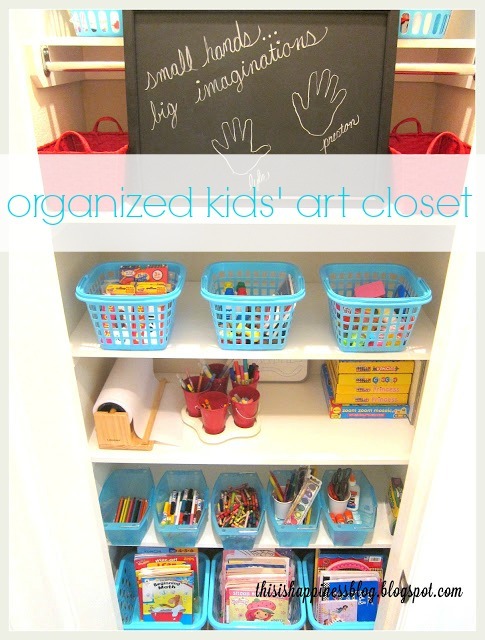 I had my husband make shelves in one of our coat closets downstairs and then headed to the dollar store for all the turquoise bins and baskets to organize all their colors, pencils, markers, paints, glues, scissors, paper, etc. etc. They can easily get to their supplies and most the bins have handles, which make it really easy to grab the whole thing and bring it to the table and get to work! What about you? Do you have any fun back to school ideas or tips that helps keep everything running smoothly? Hope some of these ideas that helped us, work for you too! These are great ideas! I love the superstar theme! Great ideas! Even my high school and college age kids would appreciate an after school goodie like that! And we could all benefit from some organization! Great ideas! Love the cute mantel to start off the year. 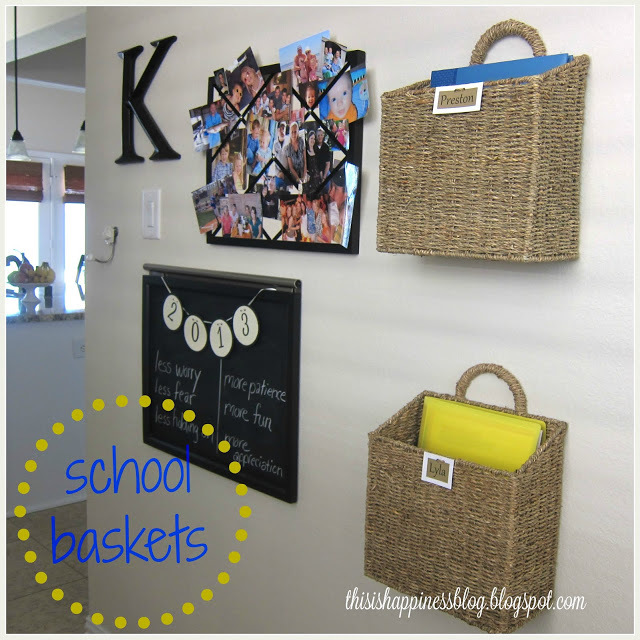 I remember those baskets from last year - I love that idea and will have to steal whenever I have schoolage children. I'm soaking in the last week of my summer vacation as teachers go back on Monday and students arrive the following Monday. Funny! I was just looking at those baskets on world markets website. Can't decide which size to order. Is that the large?